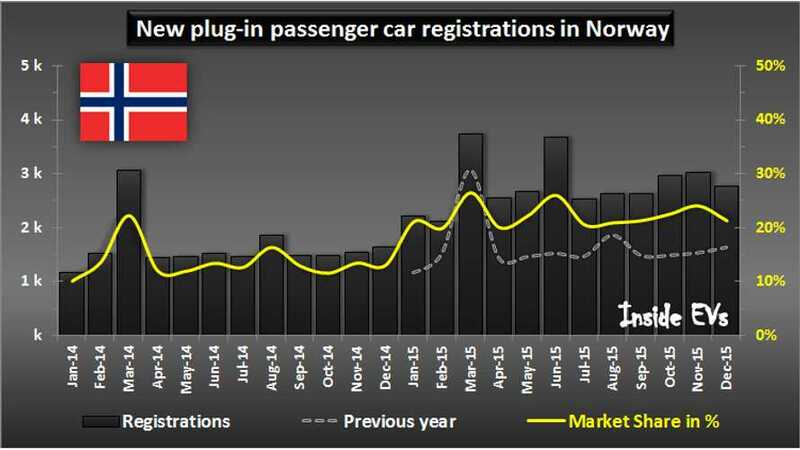 Norway is in a class of its own in terms of plug-in electric car sales. With a strong December - 2,783 new all-electric (1,978) and plug-in hybrid (805) registrations, 2015 ends with average market share of an amazing 22.3% (17.1% BEVs and 5.2% for PHEV/EREV). Of course, every month of the whole year brought significant growth. 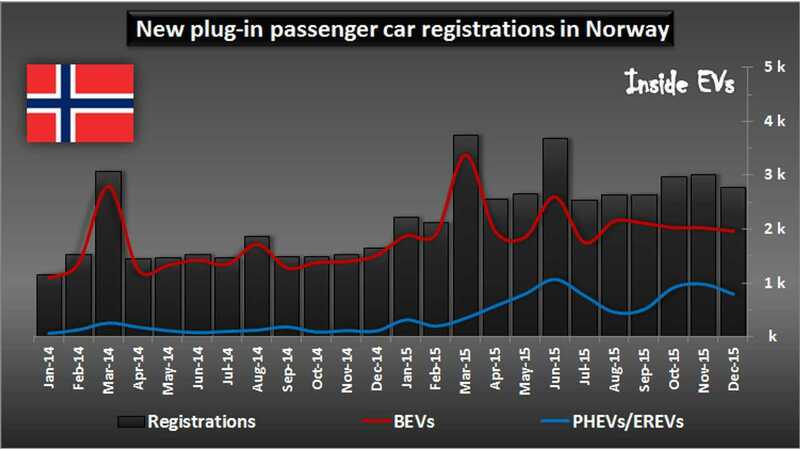 In 2015 there were 25,788 new BEVs (up 42%) and 7.817 PHEV (up 367%) for total 33,605 (up 70%) new passenger plug-ins. 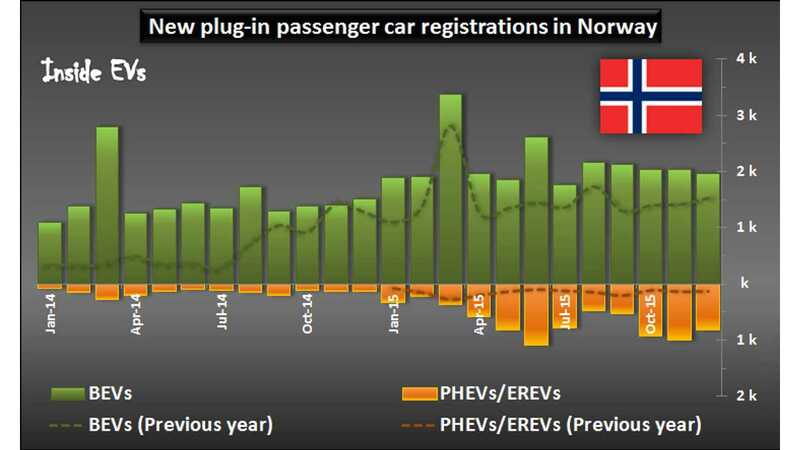 Beside passenger cars, Norway added 712 new all-electric vans, so the extended plug-in sales total was 34,317 or so. On the other hand, there is a significant market for used (but really still new for the most part) imported EVs as well - 5,122 passenger and 55 vans, which means that in one year this small country put into service nearyl 40,000 plug-ins (new or used). 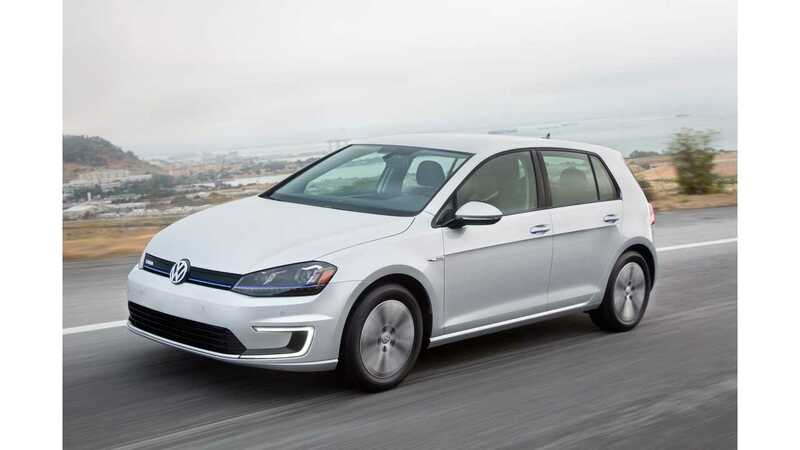 The clear market leader in Norway was the Volkswagen e-Golf with 8,943 registrations (34.7% of all passenger BEVs). The electric e-Golf also enabled Golf to be best selling car with 16,388 new registrations (54.6% of all Golfs were electric). Tesla Model S was in #5 overall and second among BEVs with 4,039 registrations. 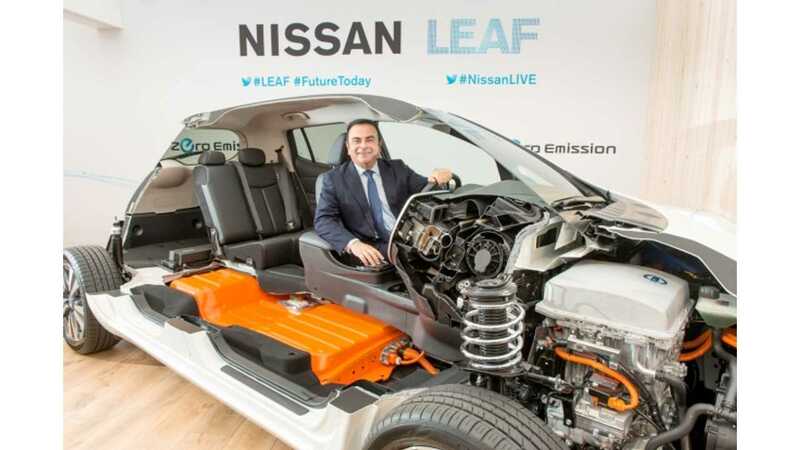 Third is Nissan LEAF with 3,189 registrations (#9 overall) and with just 19 in December, all eyes turn to Carlos Ghosn and whether he will be able to repair LEAF sales with the new 30 kWh version arriving this month? On the plug-in hybrid side - three models controlled 84% of PHEVs. The Mitsubishi Outlander PHEV lead extended ranger vehicles with 2,875 sales, the Volkswagen Golf GTE stood second with 2,000 sold, and the Audi A3 e-tron rounded out the top 3 with 1,684 moved. 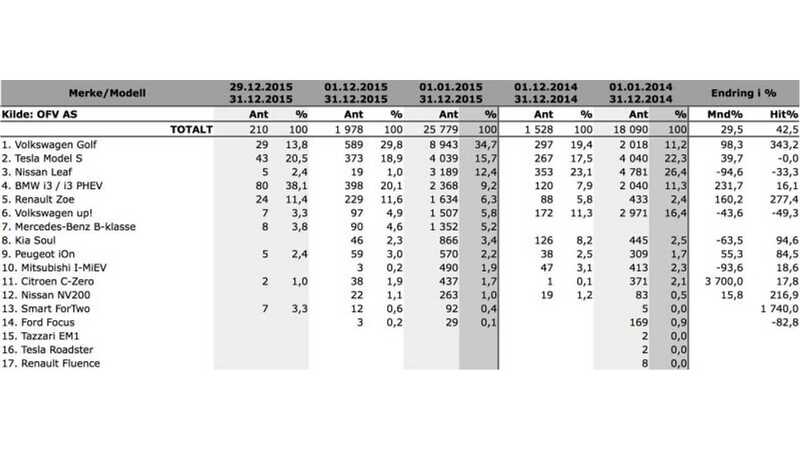 The e-Golf and Golf GTE (10,943 combined) accounted for a nearly perfect two-thirds of all Golfs sold in Norway.